A senior Iranian diplomat has censured the recent US-led airstrikes in Syria as violation of the Arab country’s sovereignty and the international law, emphasizing that they will create a pretext for fresh interference in the Middle East. “From Tehran’s view, any military action in Syria’s territory, without the request of the Damascus government and respect for the international law, is not acceptable since the fight against terrorism cannot serve as logic for violating the national sovereignty of countries,” Iran’s Deputy Foreign Minister for Arab and African Affairs Hossein Amir-Abdollahian said on Tuesday. He added that while Tehran stresses the need for fight against terrorism, it calls for compliance with international norms and conventions and the rights of all nations. Amir-Abdollahian said the campaign against terrorism does not rest on “Hollywood-style adventurism,” stressing that the Islamic Republic regards the US “adherence to its previous meddlesome” policies as the main reason behind the spread of terrorism in the Middle East region. 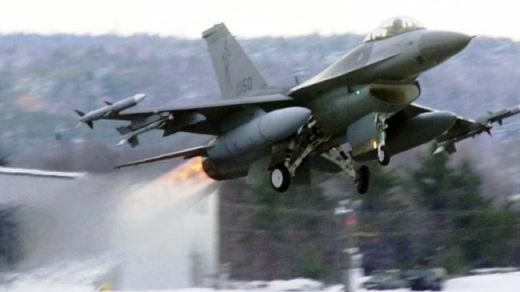 According to the so-called Syrian Observatory for Human Rights, the United States and its allies have carried out at least 50 airstrikes against the Takfiri ISIL militants operating inside Syria. The UK-based group said the air raids were launched in northern and eastern Syria late on Monday, targeting militants from the ISIL and the al-Qaeda affiliated al-Nusra Front.